Charlene and Jan Kotzé have suffered the worst loss a parent ever could. Their 7-year old son, CJ died in hospital in Randfontein, on 12 January this year. The three of them live with Jan’s mom, as they sold most of what they had to pay for CJ’s medical treatment. His face turned blue and they rushed him to hospital - where he stayed in ICU for more than a week: he had a heart attack! After he returned home, CJ received therapy and recovered well. 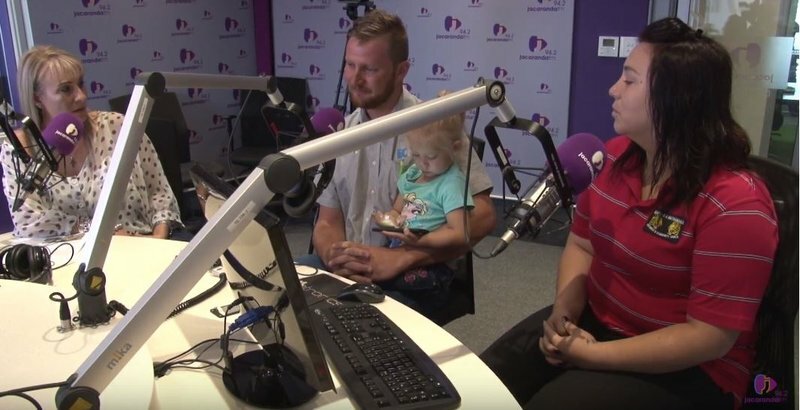 With the help of the community and wiping out all their savings, Charlene and Jan paid the R100 000,00 medical bill - as their medical cover was not sufficient. On Christmas Day last year, it happened again: CJ collapsed and again was rushed to hospital while Jan did CPR. This time however, he did not go home. Amid the devastating loss of their son, they also have to cope with the financial debt, after doing their best they could … they still owe R500 000,00 to various health service providers. SPONSORING: The ladies golfers of the Centurion Country Club will contribute R63 000 from their Women’s Day fundraiser towards the medical bills for CJ’s treatment. On the 12 of January 2018 we lost our son. He had a rare heart disorder called LQTS syndrome. It started on 1st January 2017. He just passed out during a fun day full of excitement: jumping castles, visiting family and friends. 7-year old CJ Kotze had a cardiac arrest. He was declared dead on arrival at the hospital. He was taken to casualties were they struggled for 10min and managed to get a heartbeat using a shock machine. With the help of the doctors, we managed to keep him in casualties at a Hospital in Kempton Park. We had a medical cover that we thought was a medical aid - so we took him to this private hospital because it was near where we were visiting. The medical cover did not cover the ICU, so they kept him in the casualties. We managed to get R20 000.00 for him to go to ICU. They kept him there for 8 days, before he came home. He only needed therapy. The hospital bill came to just over R 100 000,00 - which we managed to pay with the help of the community. On Christmas day last year, we had a lovely day - but it turned into a nightmare. CJ had another cardiac arrest. We rushed him to a hospital in Randfontein - the nearest private hospital we could. They tried to get space for him in a State hospital, but all of them were completely full - no paediatric ICU. He was admitted to ICU at a private hospital to stabilise him and then to transport him by an intensive care ambulance. We had to put down a deposit of R80 000,00 - which we did not have. They agreed that we could pay off the money. The first 2 days he looked at us - there was eye-contact. After that it just went worse and worse: all CJ’s organs collapsed and his lungs could not breathe on their own. He was kept alive by machines. The doctor did a CT scan on him and found that he had a clot in the left side of his heart. CJ had another cardiac arrest and the clot shot into pieces and went straight to his brain. He had the worse fits ever and no temperature control, no involuntary movements, nothing. I am coming to you as a mother, pleading for help with the outstanding medical bills. We have a three year old daughter, Megan.We don’t earn much and we don’t have a home - we live with my husband’s mother.